One of the latest trends in affiliate marketing is the use of infographics. Infographics are images combined with text that are developed to share a concept. They’re a quick way for a reader to understand a concept graphically. Infographics are also popular in social media and can be shared via Facebook, Pinterest, and even linked to on Twitter. If you’re not familiar with this concept, a quick search online will show you thousands of infographics and you can see how they’re used. Once you understand the power of an infographic to reach your audience, you’ll want to create your own. This might seem a little intimidating, but there are many ways you can do this easily using services online. First, there are free tools that allow you to create infographics. Three of the most commonly used tools are Infogr.am, Piktochart, and Easel.ly. These sites have free tools that you can use including templates, text boxes, and images. For these three sites, there are free options. But if you want to have more choices for your themes and templates, you can also pay for the services. 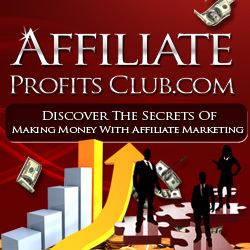 Adding a paid membership to any one of these three popular sites will allow you to have access to more options. Infographics can be used to explain a concept or promote a product. They work very well if you have a “how to” concept that you want to share. They’re also helpful with sharing statistics if you want to show the success rate of a product. When you create an infographic, you can take information that might be boring in text and make it more exciting. You’ll draw the reader’s attention to the graphic and help them understand what you’re promoting in a different way. As you create your infographic, you want to prepare it for being shared with others. So you’ll want to make sure you brand your domain on the side and the top or the bottom. This way, when you’re illustration is shared virally, your brand will also be shared at the same time. Infographics can add variety to your page. They stand out among other blogs that simply rely on text to get their message across. They meet the needs of busy people who want a quick visual explanation to understand a complex issue. By harnessing free and paid tools, you can create your own infographics and add a more powerful message to your blog. This will reach more people and could ultimately increase your earnings potential.